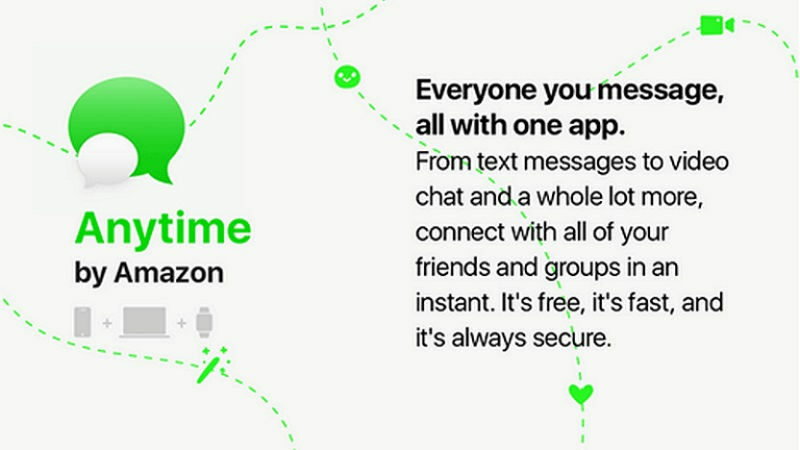 Amazon is reportedly building a new messaging app, named as “Anytime.” The said app is rumored to be a one-stop messaging service. Which is going to provide you an option of communicating through text messages or via video chats. However, there is also buzz that the retail giant has already started to survey its customers about the potential features of the app. Although it’s not clear what form the final product will take. Amazon has started surveys to its customers for getting an idea about the features which are most important to them for its “Anytime” messaging service. The leaked image by the courtesy of AFTVnews, suggests that the upcoming “Anytime” messaging app from Amazon. It will be allowing users to keep the chats private and encrypt important messages. With the Amazon’s “Anytime” app, users will be able to connect with their friends by simply searching them for their names. “Anytime” will also allow users to play games with their friends on the platform. It also includes GIF support, emojis, stickers, filters, and customization options etc.